Located on a quiet cul-de-sac, this 3,678 sq. ft. updated colonial is ready for you! 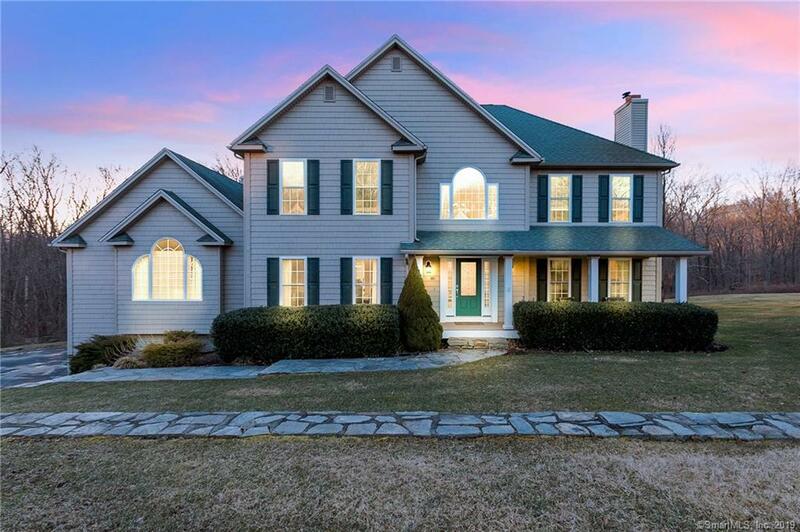 With 1.8 acres of wooded and manicured grounds, 30 Block Farm Road is a modern sanctuary with a 3-car attached garage, multiple levels of decks/patios, and the privacy and tranquility of your backyard woods. Walk into the 2-story foyer and see the open concept floor plan that flows effortlessly with shining hardwood floors. Formal living room is complete with fireplace, and dining room shines with an elegant recessed ceiling, crown molding, and built-in bar/ butler pantry. Kitchen is steps away and gleams with rays of natural sunlight; Stainless steel built-in appliances, an abundance of cabinet space, decorative backsplash, and large center island are perfect for entertaining family and friends. Finish off the first floor with a large sunroom, office space, and additional living room w/ fireplace. Upstairs, there are 3 large bedrooms, and the master bedroom suite, complete with a full bath, double vanity and hardwood floors throughout. On the lower level, a finished basement awaits you, perfect for a rec room, additional office space, storage space, and interior access to the garage. With close proximity to Paugussett State Forrest, Webb Mountain Park, Masuk High School, Golf courses, and parks, this property can be perfect for you!